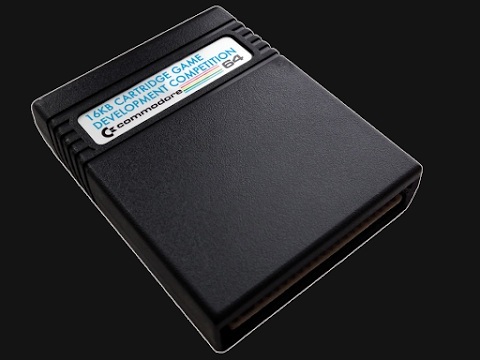 Indie Retro News: RGCD - 2015 C64 16KB Cartridge Game Development Competition! RGCD - 2015 C64 16KB Cartridge Game Development Competition! We may have missed out on the early launch news, we were that busy! But this is certainly one for C64 owners to get all hyped over, especially if you know a bit about C64 coding. As RGCD have launched the 2015 C64 16KB Cartridge Game Development Competition. Following on from the success of the last four competitions, the competition creators are hoping for a fantastic 2015/16 full of incredible games all working in 16KB cartridge ROM format. Although the creators have yet to secure prizes, sponsorship and awards, they are hoping for winners in the 1st, 2nd and 3rd category. The competition deadline is 00:00 GMT on the 1st Feburary 2016 (midnight on the 1st Feburary) - this gives you over 6 months of development time. As per usual we will of course mention every game worthy of a win and post about it here, with included download links. So good luck all, this is one competition C64 owners need to be a part of!